Not long ago I had opportunity to read the young adult novel Vivaldi’s Muse, Sarah Bruce Kelly’s expanded version of The Red Priest’s Annina. 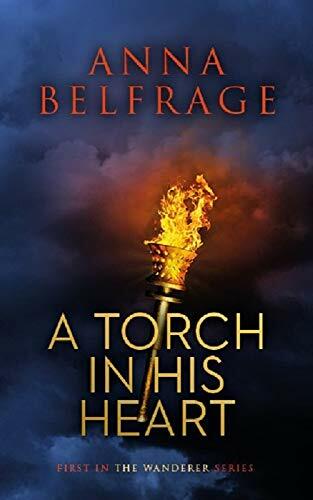 Not only was I utterly enchanted by the author’s rich, descriptive phrases and seamless narrative, I was also delighted to learn of the first book. Expanding upon a previous novel is a wonderful way to introduce youth to fascinating and important figures in history and society, and with their reading comes growth and greater understanding–not to mention simply a fabulous story. I am honored and pleased to have been able to review not only Vivaldi’s Muse but now also The Red Priest’s Annina. I caught up with Sarah Bruce Kelly, who so graciously gave the time for an interview, which appears below the fold. To top it all off I’ve added a treat, cosied in between the two. Divertiti! The Red Priest’s Annina tells the story of Anna Girò, who at age 14 in 1722 arrives in Venice hoping to study with Antonio Vivaldi, opera impresario and ordained priest. Referred to as Il Prete Rosso, for the color of his hair, Vivaldi had fingers that “flew like lightning over his violin strings, and his music sparkled with fire, as did his golden red hair and deep blue eyes.” Anna in fact had met him before in Mantua, her hometown, where her dreams of singing in the opera had developed, and now she longs to study with Don Antonio. This young adult novel follows Anna not only through her studies but also her triumphs and despairs, wrestle as she must against forces holding her back, including her own uncertainty. From the very opening page, the girl falls mute to duty: “I bit back the song I ached to sing.” Though filled with the flight and excitement of song, Annina confides to us that arguing with her father is pointless, and retreats. Shortly thereafter she learns of the circumstances that will take her to Venice, and despite her initial exhilarating introduction to the city and all its feasts for the senses, Annina begins to encounter the shadows that seem to accompany even the most ecstatic dreams. Kelly’s descriptive phrases flow like silk scarves sailing through Carnevale, as she leads us from the “salty sea air and the shrill of gulls flood[ing the] senses” through the obscure veneziano dialect and even slumping spirits following admonishing words designed to dampen Annina’s passion. An old lady stood in the foyer, dressed entirely in black. Her withering stare made my throat clench. I felt gagged. The air, thick with the stench and taste of mildew, was dizzying. “Si,” I said, as I sank into a curtsy with legs as wobbly as a newborn colt’s. “You may call me Signora,” she said, her lips tightening. True to her name, Signora supports Chiara Orlandi, whose every move is designed to isolate Annina: rifling through her belongings, withholding mail, initiating rumors, engaging deceit, and at long last, offering a hand in friendship. How far is Chiara prepared to go before her plans backfire? Can a friendship between the two rivals succeed? Here Annina recalls her mother, who had abandoned the family, perhaps in an unhappy search for her own musical past, sacrificed for her female role in society, recognition only having come much later when she remarries in order to secure herself a protected place in society. Annina, a child of this second marriage, feels abandoned by everyone in her life and turns to la moretta, the mask purchased at the start of Carnivale from a woman who had told Annina she would suffer much, but that the mask would shield her. It seems to promise her protection, but by its very nature, her silence is the price for such safety. In our journey with Annina we witness her ongoing struggle with this duality: the need to have and develop her voice paired with the exposure that renders her vulnerable to those who would crush it. In turn we observe her impact on those in the same circle, and influenced by what her voice might offer. Kelly has a delectable way with words, which enables her to convey a variety of lessons—music, history, political, social—while simultaneously presenting young adult readers with the story of a girl who endures personal struggles in many of the same ways they do. This particular span of years tends to be acutely rife with the politics of interpersonal relationships, harboring jealousy and rivalry as it does, along with the distinctly poor choices adolescents and teens often make in order to benefit with a positive spin. The opportunity to grow with Annina, to recognize Chiara’s schemes for what they are, is so rewarding because readers can relate to her, no matter their own talent or perceived lack of it. While Signora is a fictionalized character, Chiara Orlandi is historical, of whom little is known. The Duke of Massa Carrara was one of Vivaldi’s early patrons, and although Kelly’s treatment of his character is ficticious, it is based on knowledge of the era’s common practices. These and other aspects of the story bring to life the realization that Kelly has done her research well. Based on documentation the author translated herself, she has woven a story that stands up to examination and critical exploration. The Red Priest’s Annina presents historical fiction at its finest. When I first come into possession of a book, whether novel or text for a class, I am in the habit of exploring it, savoring the cover art or the book’s girth, even sometimes flipping through and smelling the pages in anticipation of the deliciousness of turning each one, periodically registering my awareness that I still have a huge, fat section in front of me to read. Joy will go on. In this case, the pattern was not different: I admired Lefebvre’s “Young Woman With Morning Glories in Her Hair” for quite some time and took a few moments to allow myself to absorb the epigraph. The story actually opens in a later time period and we journey back, at the end returning to this latter period when Annina has a personal conversation with someone we, as we come to learn, already know. Though I studied a small portion of this period in school, little of it was devoted to art or music–mostly to what then was within the boundaries of what was considered “history.” Warfare, Habsburgs, archdukes, and so on. And so “Baroque” to me had a tendency to be somewhat shadowed, even complicated and incongruous. Accompanying Antonio and Annina on their journey, however, I felt anything but, and soon came to understand why, unlike many other works of historical fiction, Sarah Bruce Kelly really has little need of a glossary (often one of the first elements I look for) or lengthy afterward, because so much of what a reader needs to know or even finds helpful is embedded in the text. Better, even those passages are not lengthy, nor do they distract from the narrative. Kelly has a talent for telling us bits of information without us being aware we’ve just absorbed instruction–and she does it succinctly, leaving no trail behind. The only regret I have following finishing this book is that I have finished it. In discussion with my nine-year-old son I mentioned that there is an earlier book, The Red Priest’s Annina, which is sort of an abridged version of Antonio and Annina for younger readers, and invited him to read it with me. The smaller book is a great idea, and can provide an introduction to younger readers that they otherwise might have to wait a few years for. Moreover, given that, as it has been shown, boys’ reading starts to level off at a particular age and they fall behind girls in their skills, I am attracted to the idea that they can read about something that interests them and expand upon it later with the same author. So for anyone with children, younger or older, or who themselves enjoy historical fiction, music, a heartfelt story, language (as in delicious sounds that come from the combination of particular letters or phrases, such as chiaroscuro), or playing with the understanding of foreign words (and speaking of Italian, delicious is the right word! ), do yourselves or someone you love a favor: Get it. Picture yourself a time traveller, having been removed from your 21st century comfort and familiarity to be placed alone in the middle of enchanting but unaccustomed surroundings: An 18th century Venetian street scene, rife with sensory stimulation in the song and smell of roast pumpkin hawked by one vendor, while another creates the captivating image and mouth-watering sensation of pear juice dripping down your chin, and the fiery melon hearts you long to reach out for. Later you may recall the sumptuous smell of roast chicken as you settle into a hungry sleep and the outside chill seeps into your bones. You remember the gondolieri-filled canal, their bravado and charm as you were swept by the magnificence of a life in which all people, coarse and refined alike, appreciate opera as easily as they would the Carnivale introduced to you by the sweeping arm of the gondolier who piloted you to your destination. Magnificent and marvelous it all is, though you are periodically reminded by circumstance of your aloneness in the midst of strangers and their coldness—and the ways of one whose singular goal appears to be your failure. Having read much of 18th century Europe, few of us would be prepared for such circumstances, and such is the bewilderment of Annina Girò, who is to become longtime protégée of Baroque composer and virtuoso violinist Antonio Vivaldi. Now, however, swept by her surroundings and captivated within the dream of becoming an opera star, the non-yet teenaged Annina perhaps frustrates the reader with her naiveté as much as this delights her tormenter and rival, Chiara Orlandi. Author Sarah Bruce Kelly keeps readers riveted not because we wonder if Annina will ever make it to Vivaldi’s studio, but how on earth it will happen—and brings us along for the ride as we share Annina’s ups and downs on her journey to stardom. While at least one of Chiara’s early setups is almost amateurish in its transparency, Kelly brings us better to appreciate and understand how it is Annina could fall for it, by first introducing us to her world. Although Mantua and Venice share a common language, where the young girl comes from couldn’t be more different. Her family’s breakdown nonwithstanding, Annina loves her distant and now-absent mother, whose energy is drawn from music. “The only times [Bartolomea] came to life were when she sang her beloved opera arias…[s]he was happiest when she sang, and Annina would joyfully sing along with her.” The girl is looked after by her elder half-sister who acts as surrogate parent, as well as her pushover French father whose largesse towards his adult sons angers Annina’s mother. Now, however, despite Paolina’s company in the first hours of her new Venetian life, and the promise of what the future holds, Annina no longer has at least a loving family in which to find comfort. Having at an early age been mesmerized by the great maestro Vivaldi, Annina determines her own destiny: to become an opera singer—and how could she not, if the way the author describes her experiences captures even a small portion of how the young girl sails through those few moments. The music of the small orchestra billowed beneath the singer’s shimmering voice like a surging tide…She shifted her gaze to [Vivaldi, who] was filling in the pause between the aria’s two major sections with a violin solo that sparkled with fire. She watched his fingers fly like lightning over the strings as his swift bow thrusts brought the music to unimaginable melodic heights…Her rapture grew as the music of the violins blended with the singer’s voice and flooded the theater with exhilarating sound. A brief meeting with Vivaldi, her mother’s abandonment, death of an empress and her family’s poverty pave the way towards a tuition sponsorship for Annina to study music in Venice, the city in which her sponsor’s protégée and she come together in the rivalry that starts long before Annina’s own awareness of it. While many of us modern readers tend to believe nothing could surprise us, and certainly not the cruelty of an older singer towards a twelve-year-old girl, Kelly masterfully leads us from event to event as we find ourselves lamenting Annina’s foolish act of writing her feelings in a letter just waiting for Chiara to rummage through her trunk in search of anything damaging to use against her, or the satisfaction rising when Annina’s matured intuition prevents a wicked plan from coming to fruition. Kelly’s treatment of Chiara’s character saves that particular role from sinking into a mere “bad person” stereotype, and allows for the focus on the reality of Venetian opera at this time—a perilous world in which young boys were mutilated to retain their voices, women would destroy one another for the privilege of being owned by the one in power and politics persuaded it all to occur in a back and forth manner, events that fed off of each other for the pleasure and ambition of the characters in an opera larger and more shadowy than any they could possibly imagine. It is perhaps this growing awareness, as well as her love for priest and maestro Antonio Vivaldi that saves Annina from the darker side of this world, though to be sure she is required to develop clever management skills to avoid the pitfalls and traps, without falling foul of those she needs to avoid offending. Her refusal to part ways with him and endure the vicious slander surrounding her relationship with her mentor creates a support of its own as the two learn to trust each other despite the larger attachment they can never have. At various points in the novel Kelly approaches the topic of sexuality with a method this reviewer wishes were employed more often: she utilizes words with grace that imparts the dignity of such attachments, without falling into coyness, avoidance or the removed language of a distant and staid century. Young adults will be able to relate to what the characters endure because many of them, too, are just beginning to approach the emotions and questions of this nature presented in the novel. It must be stated clearly that opera as a backdrop should not frighten those unfamiliar with the topic or any of the players, many of whom really lived. For starters, we all know Vivaldi’s music without knowing we do. In a way this is a new sort of shame (following how history nearly forgot him until the 1927 discovery of many of his original manuscripts) because making the connection between the music and the man disposes of many of the operatic memes that tend to turn people away. Listening to Four Seasons just once brings on recognition and even a sort of joy that we have been part of this world all along. Further, the book indeed is a novel, and tells a story with a cast of characters that rivals most Hollywood movies. People in all cultures and throughout history have always wanted to hear stories; it is one reason opera itself developed. The movie industry, really, is simply another form of storytelling, though one would be hard pressed to create on film the kind of tension, aura and magic that results from the merging of this novel and one’s own imagination and internal conflicts. Given the powerful effect music tends to have on human emotion, adding that element creates a greater strength to the story. Having said this, it should be added that while it is a novel, the book presents a journey, and not just a story, which always makes for a more rewarding read. 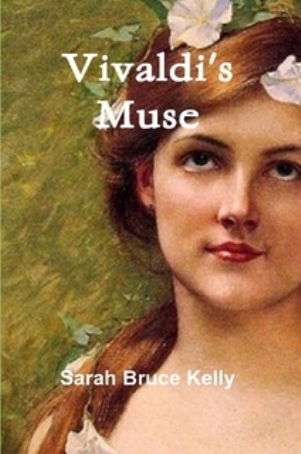 It is easy to see why Vivaldi’s Muse is an award-winning novel: bringing together music and the passion of human interactions (for better or worse) in a format accessible to a rather wide audience—a young-adult novel that is absolutely suitable for adults of all ages—brings to mind the thought that Sarah Bruce Kelly loves us. Meticulously researched, she has brought her expertise to bear on the lives of people who lived and loved, and who likely wanted to be remembered, as do we, amongst the creations we leave behind for progeny. Annina knew this as well. At that instant, she became aware that there was something much bigger at stake than her personal fears or desires—even bigger than her relationship with Antonio: His music. The music he’d been moved to compose so furiously and prodigiously all his life would outlive its creator. It would outlive them all. She smiled as she realized she’d known that all along. By 1930 all Vivaldi’s original manuscripts had been recovered, thanks no doubt to the collection and cataloguing work that had been done before they disappeared for two centuries, likely in preparation for their archival. Getzinger and Felsenfeld, in Antonio Vivaldi and the Baroque Tradition, tell of an oral tradition known to Alberto Gentili, which spoke of a Piedmont monastery in possession of Vivaldi’s works. In the late 1920s, as Kelly also addresses in her Afterward, following two decades of searching for this part of a music library hidden during the Napoleonic wars, the works were found. The painstaking efforts of Gentili and others brought Vivaldi and his works back into the public consciousness, and there they stay. With Vivaldi’s Muse Sarah Bruce Kelly continues this noble pursuit by bringing to us a portrait of Vivaldi as seen through the eyes of Annina Girò, in historical fiction written with such style readers feel as if they have stepped into the story, such is the sensory integration, emotional impact and depth of detail following a journey that lasts almost a lifetime, as we meet Annina as a little girl and bid our farewell following Antonio’s death many years later. Kelly’s hope is realized when, as Vivaldi’s music touches a special place in our hearts, so close we never knew it at one time wasn’t there, so too has this journey. A copy of Vivaldi’s Muse was furnished to the blogger in exchange for an honest review. This entry has been updated to include information about the novel’s status as award-winning historical fiction. 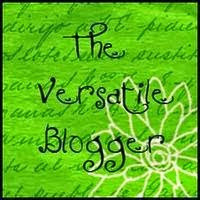 Posting has been necessarily paced for me thus far, though it has been picking up a wee bit. Lots of this has to do with other obligations, though often I am prepping or working on ideas for the blog. As you can see, so far I’ve covered a few random topics, plus book and music reviews, and I’ll continue to do this. This weekend I’ll post my review for Nancy Jardine’s The Beltane Choice, a romantic adventure set in Celtic Britain. August saw the novel’s release in e-book version; today it comes out in paperback. Nancy and Crooked Cat celebrate with an online release party at Facebook. Do join the festivities and enter to win an autographed copy! Next up is another entry with Sarah Bruce Kelly, this time with a review for her award-winning Vivaldi’s Muse, an account of Annina Girò, Antonio Vivaldi’s longtime protégée. The book is an expansion of her previous novel, The Red Priest’s Annina, detailing life in 18th-century Venetian opera. I am also preparing for a re-read of We Speak No Treason, which I absolutely fell for the first time. I loved this book so much I decided to re-visit and share with my readers. I am also delighted to announce that the best-selling author of this Richard III novel, Rosemary Hawley Jarman, has so very graciously agreed to an interview, which will be featured when the review is published. In coming weeks I will begin a series of posts regarding Nicholas Orme’s Medieval Children. I hesitate to label it an “analysis,” as such an undertaking is not in my purview. 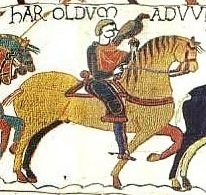 However, as an early childhood teacher, mother of a young boy and a Middle Ages aficionado, I am very keen to learn more about this phase of life as it occurred in medieval days, and plan to take a more deliberate, studied approach to reading the book–what might be called an “exploration.” Share the journey with me! I’ve been re-visiting some older poetry of my own from school days, as well as topics of study in university. Why am I so very proud of my C in Communicating Math Ideas? Who knew statistics could be so much fun? What does Tagore write about the preservation of memories? Also: Is baking art or science? A favorite Persian dish, on learning to play the piano, children’s art, amateur photography and my favorite medieval game, Nine Man Morris. These, dear friends, are just some of the topics you can read about in coming weeks, and I look forward to you joining us as we explore them and others. Anybody know where that comes from?